Also, here is the tweet. So the conference is obviously correct and that’s something it should be proud of. 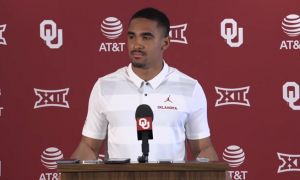 I’ve often said that the Big 12 Conference has been the deepest conference in the country in football and basketball the last couple of seasons. Outside of KU football, there is no dead weight at the bottom of the conference that so many other bloated conferences have. There was really no dead weight in hoops the past two seasons. And the Big 12’s round robin in football and double round robin in basketball is something that does not get nearly enough credit from the college sports pundits. 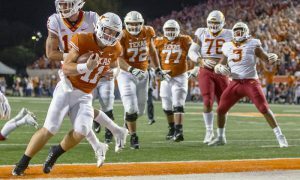 The one thing hanging over the head of the Big 12 is that while they have reached the Final Four (Kansas, Texas Tech) and College Football Playoff (Oklahoma) each of the past two seasons, they have not won one game in either event during this time. 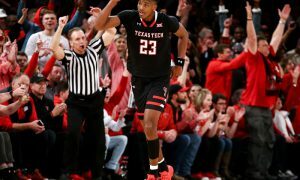 Of course, Texas Tech can change all that this weekend when the Red Raiders take on Tom Izzo and the Michigan State Spartans, who are favored in the game. 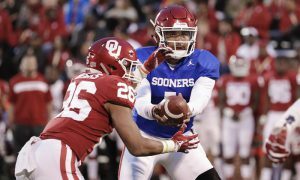 When I think back to the chances the Big 12 has had in recent seasons, the most painful opportunity this conference had to get over the hump was the 2017 Oklahoma Sooners football team led by Baker Mayfield. The big lead over the Georgia Bulldogs in the first half withered away and resulted in a double overtime loss. 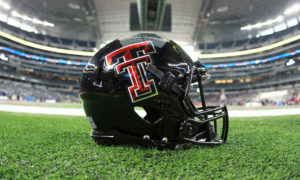 That one still stings as a Big 12 fan. Kansas got blown out by a red-hot Villanova team in the Final Four and was never a contest. 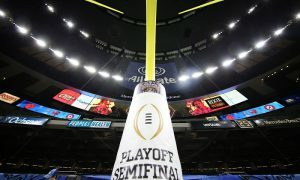 Then OU football was down early against Alabama this past season and despite making it semi-interesting in the second half, most objective viewers knew Alabama was not going to let that game slip away. 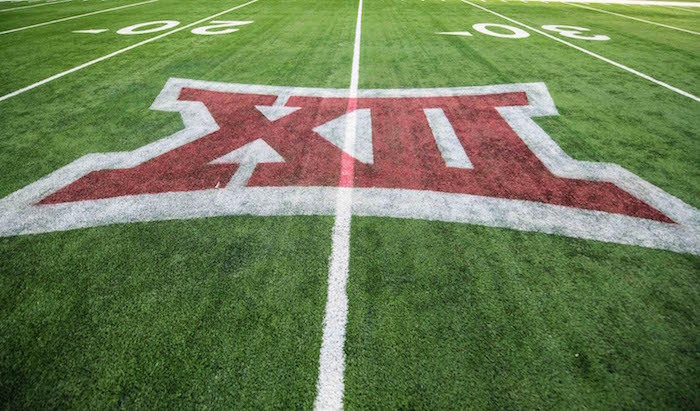 So I’m not knocking the Big 12, I’m as big of a “rah rah Big 12” guy as there is, but in sports, we count championships, not getting to some man-made “Final Four” or “Playoff”. 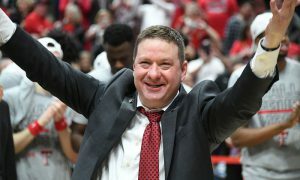 Programs boast about them for obvious reasons because it brings them prestige, donations and gets coaches, plus administrators, raises and contract extensions. 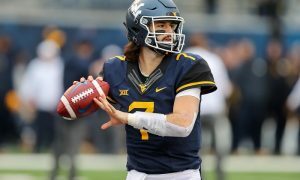 But every Big 12 fan should be rooting for the Red Raiders this weekend, if for nothing else than to see the Big 12 actually get to that Championship game in one of the two major college sports, where they could very likely find themselves as favorites playing in the biggest stage of them all: The National Championship Game.